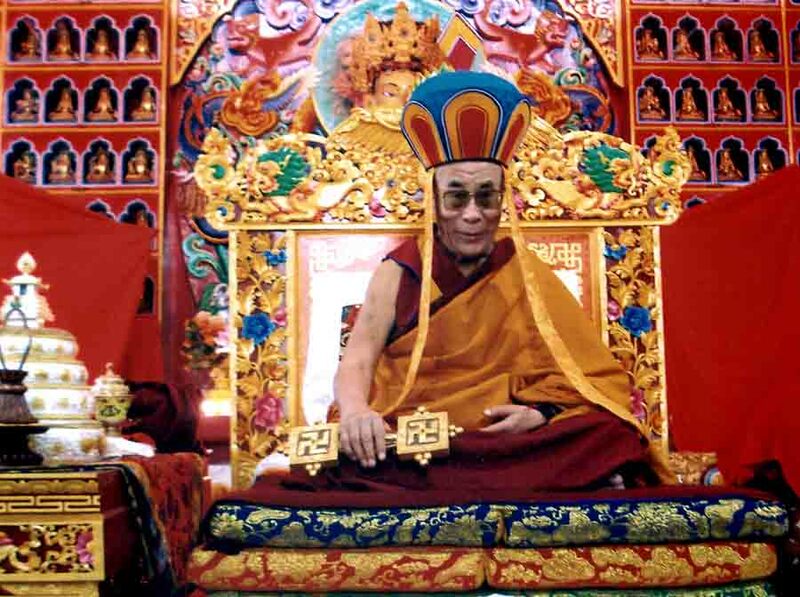 His Holiness the Dalai Lama on the throne at Menri Monastery, the spiritual seat of the Yungdrung Bön. Here, he wears a Bön lama’s hat and holds the chakshing which is a symbol of the Buddha Tönpa Shenrap Miwoché. Posted on April 22, 2013, in Tibetan Lamas, Uncategorized, Yungdrung Bon Monasteries and tagged Asian studies, Buddhism, Dalai Lama, Menri, pilgrimage, spirituality, tibet, yungdrung bon. Bookmark the permalink. Leave a comment.